Usually used for rebuilding severely-damaged or broken teeth, crowns are the type of dental restorations that work by covering the surface of the tooth completely and effectively. In addition to this, dental crowns can strengthen and improve the physical appearance of the teeth. Crowns can be made of full ceramic, full metal or porcelain bonded to metal. The procedure for dental crowns usually involves grinding a large area of the tooth to be treated and can be considered to be invasive. In most cases, crowns are the logical choice when the tooth’s ability to support a filling or inlay restoration is reduced. 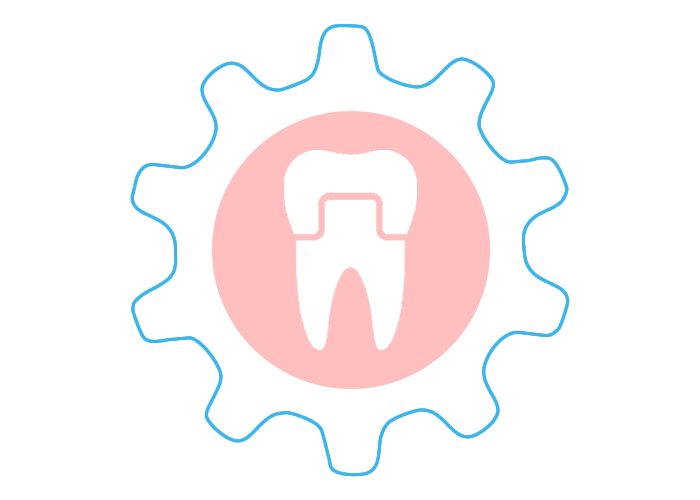 If you and your dentist decide on a dental crown, the procedure for this will begin with the removal of all decay and signs of damage on the tooth. Because of the discomfort, local anesthesia is usually applied. Once the tooth has been ground to the desired shape, your dentist will take impressions which are sent to the laboratory where a crown will be made to fit your tooth perfectly. This usually takes about 2 weeks. Your dentist might give you a temporary dental crown while waiting for your custom-made crown. Your dentist will check for correct fit, colour match and overall appearance. If everything seems to be perfect, the crown will be cemented into place. Computer designed and fabricated crowns are very popular nowadays, with a strong Zirconia frame and porcelain cover on top which makes the restoration precisely fit to the tooth, strong and very natural at the same time.